The visa problems that cropped-up in Riot’s League of Legends Championship Series (LCS) derailed a lot of teams’ best-laid plans, but no team suffered more damage than North America’s Echo Fox. They got a lot of attention when they were formed due to the glamor attached to their owner, former NBA star Rick Fox, and the legitimacy he could lend to esports. The wheels came off that wagon, however, when Riot started checking to make sure that every pro player had valid immigration paperwork to work in the United States and Germany (where the North American and European divisions are hosted), Echo Fox lost two of its most important players: star mid laner Henrik “Froggen” Hansen and top laner Park Jeong Hun. The situation forced Echo Fox to forfeit one game before they found substitutes, and they promptly lost five games in a row. Now, stuck at the bottom of their division with a 1-7 record that makes them likely to finish as one of the three worst teams, and therefore be forced to play in a relegation series in order to remain in the LCS, Echo Fox finally seem to have their paperwork sorted out. According to the LoL Esports fantasy website, Echo Fox are playing with their full roster today when they go up against fellow last-place team Renegades. Echo Fox were always an iffy proposition. Froggen was the known quantity on this team, but history has shown that Froggen can’t save a mediocre team by himself. 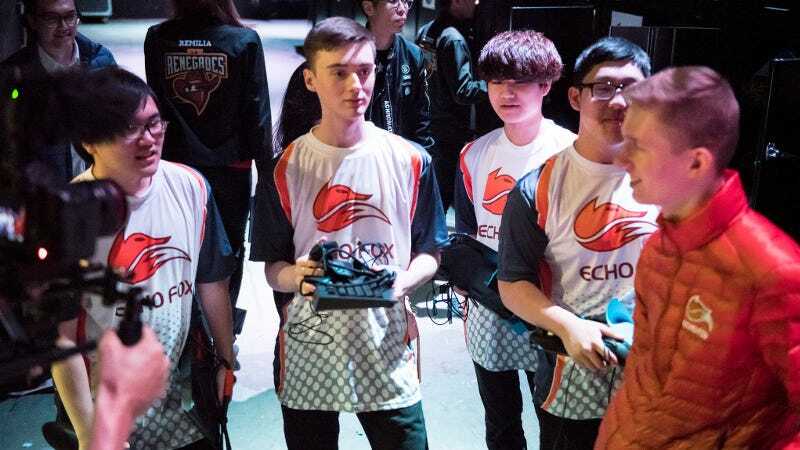 Now Echo Fox have five weeks to salvage what has been a debacle of a season, but they are in a deep hole. With ten games left, they’ll have to perform very well if they’re going to avoid being forced into a relegation match with a Challenger Series team at the end of this spring season.